The Rizvis in Ahmedabad- Institutional Delights! 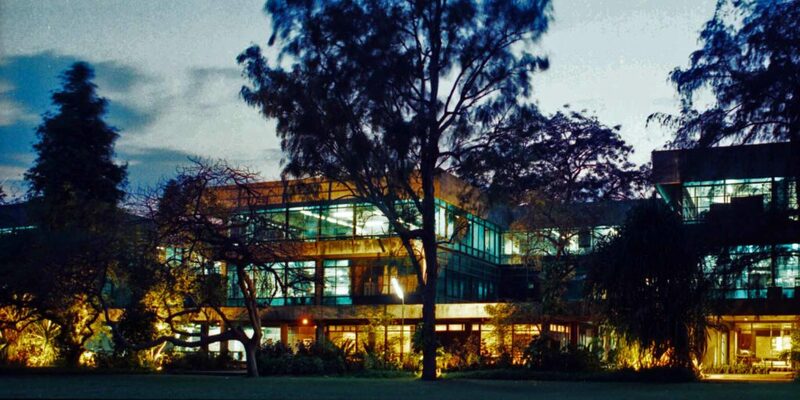 Case studies have been repeatedly stressed on by many stalwarts of the architectural guild as the foundation to an expressive design proposal. Studying buildings of a precise typology before setting on to design one is particularly stressed upon for its multifaceted benefits- it offers a comprehensive knowledge on how the particular types of structures functions, the details of the spaces, user profiles as well as specific characters of the space, all of which needs to be kept in active consideration while designing. With the practice and preaching of architecture increasingly moving indoors over the years and internet overshadowing our existence, case studies have gradually been pushed aside into a dark corner. With an exponential rise of architecture web pages, conducting ‘secondary’ case studies over the internet seems to be the new trend now! The benefit of traveling to the place in person and seeing the building by oneself seems too far-fetched a concept right now, and though there are people who take the pain of traveling to the building to see it, it’s much more of an air-of-drama and constant social-media updates than an actual case study nowadays. Continuing our tradition of imparting knowledge to our students through the first-hand experience, we set out this time to Ahmedabad with third-year students from the Rizvi College of Architecture, Mumbai. It was a ten-day intensive study trip based at Ahmedabad, and the entire program was curated keeping in mind the necessity of proper case studies for the students. The next semester design was an institutional building, and so the thrust of the program was to provide maximum exposure of institutional buildings. 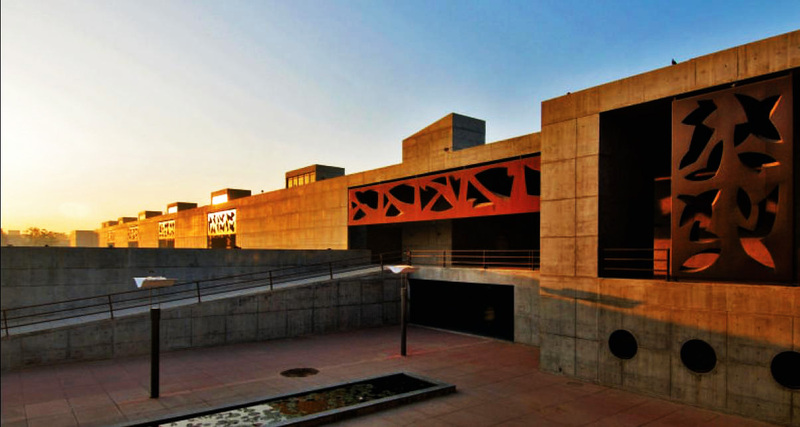 A final selection of the institutes to be studied was carefully sorted out of an exhaustive list in and around Ahmedabad of good design repute. They were required to study the building based on multiple aspects of site layout, spatial planning, functional usages, user movement, material usage, climate responsiveness as well as the overall aesthetic and contextual responsiveness of the site. The trip objectives were two-fold: to conduct a case study of eminent institutional buildings in Ahmedabad and to visit places of historical interest to an architect! The schedule was designed to eliminate boredom; case studies and historical site visits were placed strategically to eliminate the slack, keeping the students on the peak of their enthusiasm. The students proceeded to conduct case studies of institutional establishments of international repute like IIM Ahmedabad, Ahmedabad Management Association, NID Ahmedabad, Manav Sadhna Activity Centre, Ar. 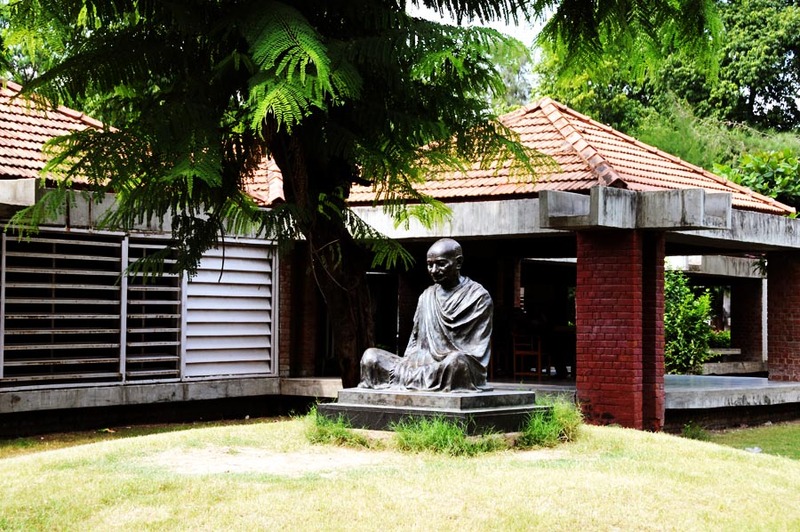 B.V. Doshi’s office, Sangath, and the famous Gandhi Ashram. Other institutions which the students studied would include LD Institute of Indology, Mahatma Gandhi Labor Institute, Entrepreneurship Development Institute of India, Environmental Sanitation Institute, Prathama Blood Centre, Gujarat Institute of Disaster Management and Sanskar Kendra & Tagore Hall. Having visited such a vast range of institutional buildings over a span of a week, the students proceeded to do a further subdivision of these buildings into further sub-typologies following which, they performed a comprehensive comparative analysis to understand in depth the pros and cons of each building category. These would in due course act as their final literature and case studies for their upcoming design assignment. Ahmedabad, fortunately, sits in a segment which is highly rich in historical remains from ages ranging to the Mohenjodaro-Harappa civilization to the more recent historical development of the eighteenth century! 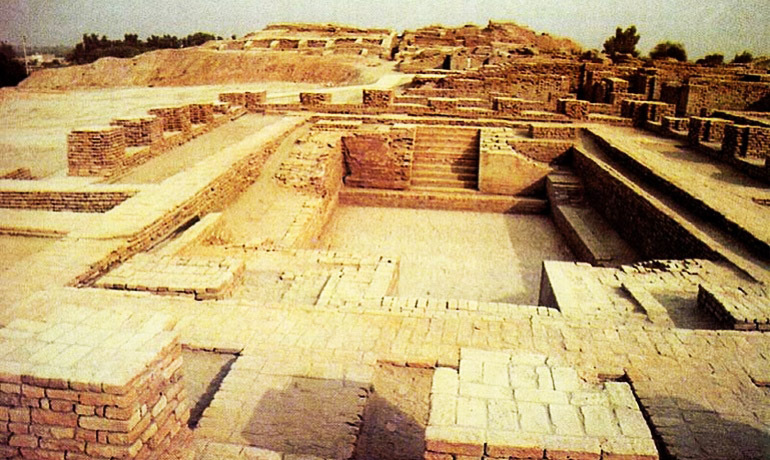 The team drove to Lothal, one of the most prominent cities of the ancient Indus Valley Civilization to witness the abandoned ruins of the prehistoric port city of Lothal. Recognized to be the world’s earliest, the students visited the Lothal Dock, a huge rectangular lake possessing crystal clear waters which were connected to the Sabarmati River back during the Indus period, facilitating trade with the west! They witnessed the regal city and its components- the citadel, the warehouse, water, and drainage channels. 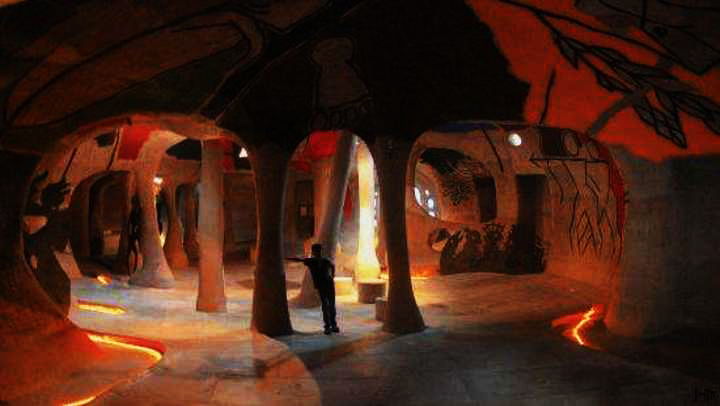 Having visited the adjacent museum preserving all the retrieved pottery, models and artifacts, they proceeded to visit the Sarkhez Roza. Despite the presence of an ample number of Rozas in Gujarat, Sarkhez Roza is the most revered. Once a prominent center of the Sufi culture in the country, this is where the influential Sufi saint Shaikh Ahmed Ganj Baksh lived. It was on this saint’s advice that Sultan Ahmed Shah had set up his capital in Sabarmati, a few miles from here. The students participated in the Ahmedabad Heritage walk on one of the days. 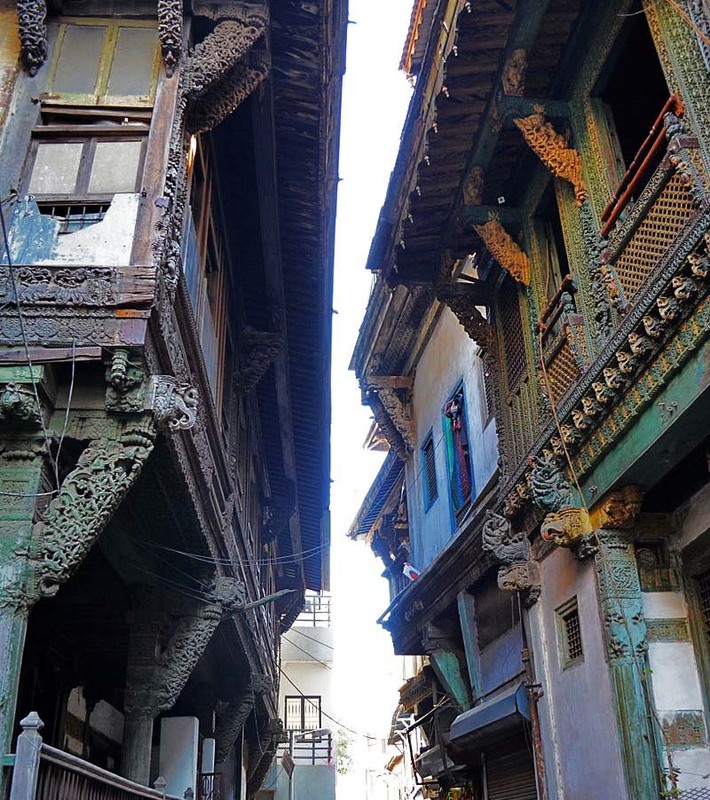 This revered walk takes participants along the most prominent heritage precincts of the city, giving them an opportunity to bask in the traditional Amdavadi architecture and structures and alleys along with giving them an opportunity to experience the indigenous cuisine that comes within the walk program. Having completed the tour, the students enthusiastically documented an indigenous poll housing complex of the area out of their own personal interest! 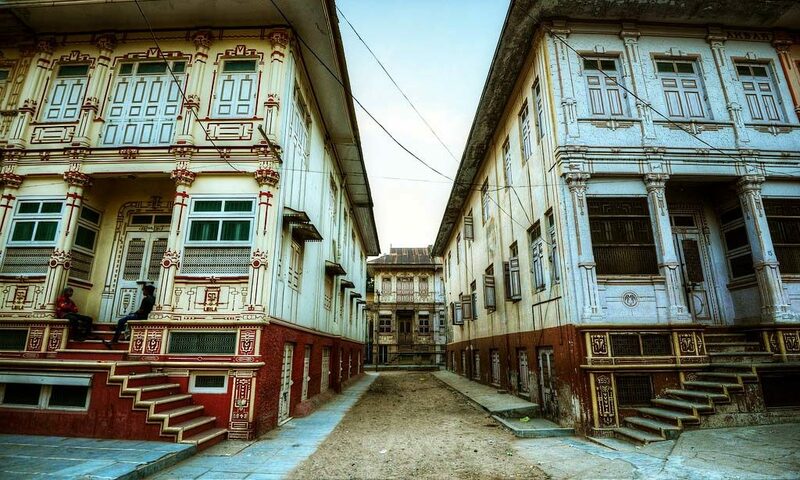 The study was based at one of the old streets in the heritage complex having a conglomeration of poll houses; this helped the participants to understand the age-old planning policies that were considered while designing them! Another day, the students drove to Modhera to visit the famous Sun Temple. A Hindu temple dedicated to the solar deity Surya, his temple follows the Maru Gurjara or Chalukya style of architecture. Built by king Bhima I of the Chalukya Dynasty, the temple sits on an intricately detailed platform. Having an inverted lotus shaped platform, this is one of the classic examples of temple architecture in India with intricate carvings and detailing, workmanship that can only be imagined in the present era! The next in the list was Rani ki Bhav in Patan. Located on the banks of Saraswati river, it is an intricately constructed stepwell build as a memorial to King Bhimdev. Considered to be one of the largest and most sumptuous structures of its type, a majority of it got buried under silt and the remaining is open for the public eyes! Post lunch, the kids were taken to Siddhpur for a study on the planning and construction of Bohra houses of that region. The students also visited the famous Ahmedabad-ni-gufa! Designed by the famous Ar. 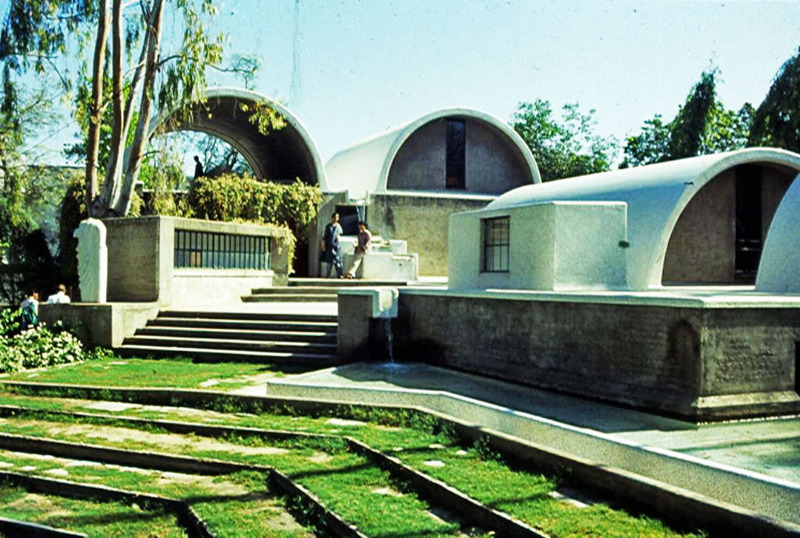 B.V. Doshi, this underground art gallery features the Indian artist Maqbool Fida Hussain. 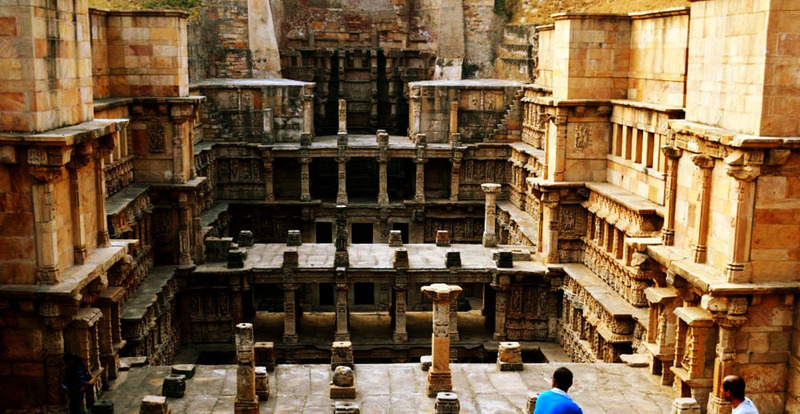 Dada Harir stepwell and Rudabai stepwell in Adalaj was also a part of the itinerary. Three interaction sessions were hosted by three eminent architects during the entire duration of stay in Ahmedabad. The students visited Ar. Snehal Shah’s studio and attended a short interactive session on the projects completed by the office. The students also were briefed on the organizational aspects of an architecture firm and how to be successful in running one! During the visit to HCP Design Studio, the students witnessed a gallery of works done by the eminent architect Ar. Hasmukh Patel and was given a small presentation on the Sabarmati Riverfront Development by one of the senior architects of the office. Students luckily got a chance of interacting with Ar. Patel in person as well. Ar. Yatin Pandya spoke about the spatial qualities of the historical buildings during his session. He spoke in details about how the timeless qualities of these buildings leave their mark on us and leave us in awe, apart from giving hints to the students on how to imbibe this timelessness in their respective designs to produce a timeless piece of architecture. As a mandatory dose of entertainment, a DJ night was arranged for the students on one of the days. They were also given a free evening for exploring the local market, people as well as food! This trip was considerably different from what a standard architectural field trip would have been! A normal trip involves a lot of destinations, a lot of train journeys and a mad conundrum of rush, delays and lot more. This, on the contrary, was constantly based in one single city for the entire length of the trip. This eliminated a lot of hustle and travel and the tiredness that comes with it, allowing the students to concentrate on their case studies exclusively. The trip was highly successful with the right balance and placement of work and fun. Originally envisioned to be a case study trip, it grew larger than that- a condensed concoction of history, heritage and contemporary site visits, this trip seemingly achieved what all architectural trips aim to possess- a sense of complete satisfaction. 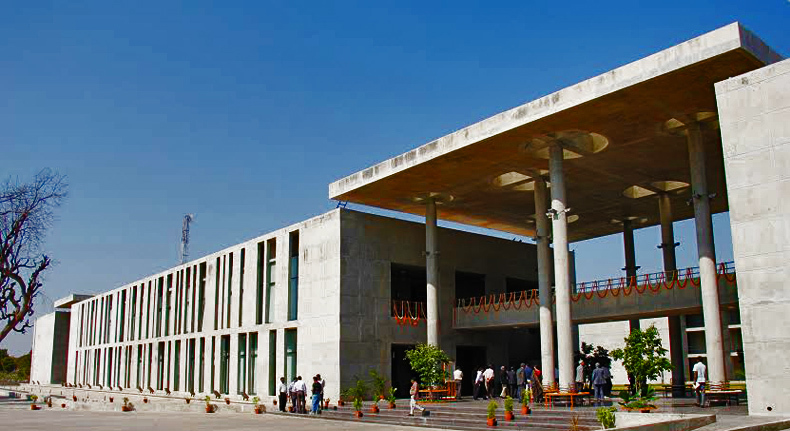 by admin / in Education, Educational Tours / No Comments on The Rizvis in Ahmedabad- Institutional Delights!